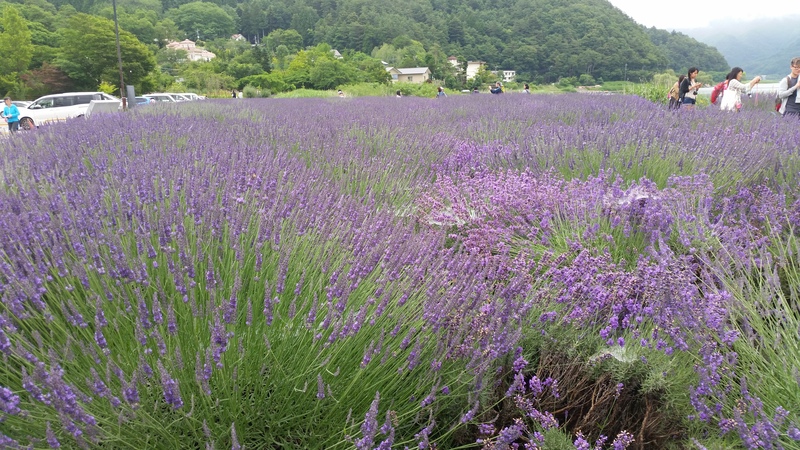 The Kawaguchiko Herb Festival takes place in mid-June through early July. You get to see a beautiful view of Mt. Fuji, Lake Kawaguchi and lavender fields especially on a sunny day. Be prepared for mud since it blooms during the rainy season. The lavender fields are located on Kawaguchi Lake. 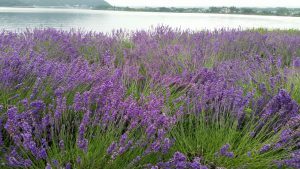 There are small flower parks, Yagizaki Park and Oishi Park. Admission to the parks is free. It was a nice walk along the lake with a few small restaurants. 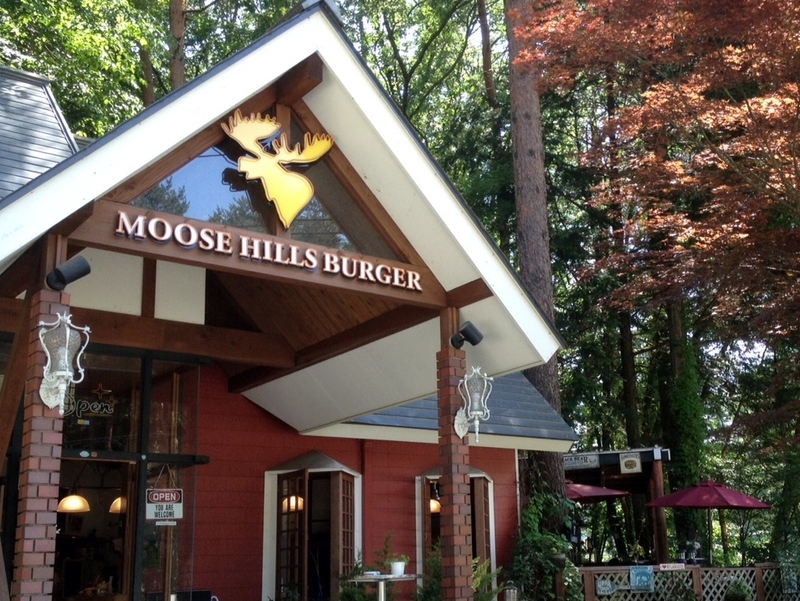 While driving around the base of Mount Fuji on Highway 139, my husband and I couldn’t help but notice this rustic styled burger joint just off the road. My husband insisted we stop in and check it out, and we were not disappointed. The restaurant specializes in hamburgers, soups and sandwiches. The burgers can be ordered as advertised in the menu, or you can build a burger with a variety of toppings. Menu items include a grilled onion gorgonzola burger, turkey burger, or the guacamole cream cheese burger. But if you’re really hungry, try the deluxe burger, filled with two beef patties, two slices of bacon, egg, avocado, and cheese. Not into meat? No problem, there is a veggie burger offered on the menu. Burgers range from ¥950 to the ¥2000 deluxe burger. And did I mention there are milkshakes? The banana and chocolate shake is definitely a must-try. This past weekend my family drove to Mt. Fuji to meet some friends. They suggested we meet at Sylvans, an award-winning brewery/restaurant. It is VERY easy to find and literally has won world-wide beer competitions. There is a kiddy land area and doggy park area adjacent to the restaurant, so bring the whole family! 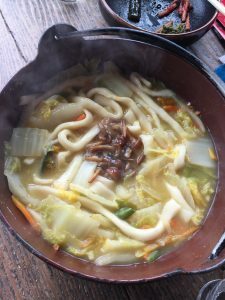 Find a write up for the restaurant on the Yamanashi Travel Guilde. Closed Thursdays unless it is a holiday. Open for lunch 11:30-2:30, Dinner 5:30 – 9:30, however during Saturdays and Sundays in the summer they are open 11:30am-9:30pm straight through. Major credit cards accepted. Phone: 0555-83-2236. GPS 35.458393, 138.760089. DIRECTIONS: Sylvans is located about 5 minutes from the Fuji/Kawaguchiko exchange (Fuji Q Amusement park). Take the Chuo towards Fuji. Take the exit towards the left (towards Kawaguchiko) at the Otsuki interchange. Take the Fujiyoshida exit (I think) where Fuji Q is on your left. Pay the toll (¥1900 if you got on at Hachioji) and turn RIGHT (away from Fuji Q). At the first light (almost immediate), take the ramp on the left to turn left onto the Fuji Suburu Toll Rd. You will drive for about 5 minutes and the restaurant will be on your right! Added directional note: The restaurant is located along the road that heads toward Mt. Fuji 5th Station, just after the music that plays as you drive over the grooves in the road.– Kelly Bull, July 2013. 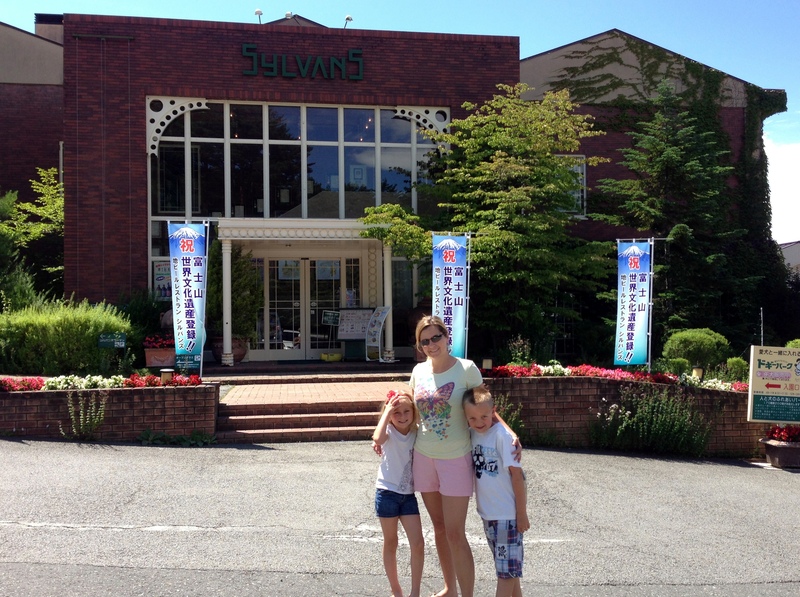 Comments by Sarah Straus, August 2013: We went to Sylvans and yum. What a great find. It was a Sunday in August and we found Moose Hills Burger had an hour wait for lunch. While Sylvans was busy, there was still room. The food was great and so was the beer. I would recommend sitting in the atrium located in the back. Also, there was some kind of amusement park type thing located adjacent to the restaurant. We didn’t go, but picked up a brochure and it seems to include great things for younger kids… petting zoo, slides, paddle boats, miniature train ride. 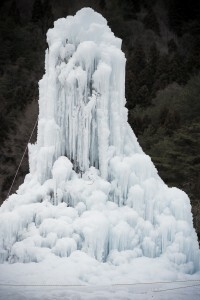 If anyone goes, please consider writing a trip report for Yokota Travel. Thank you! 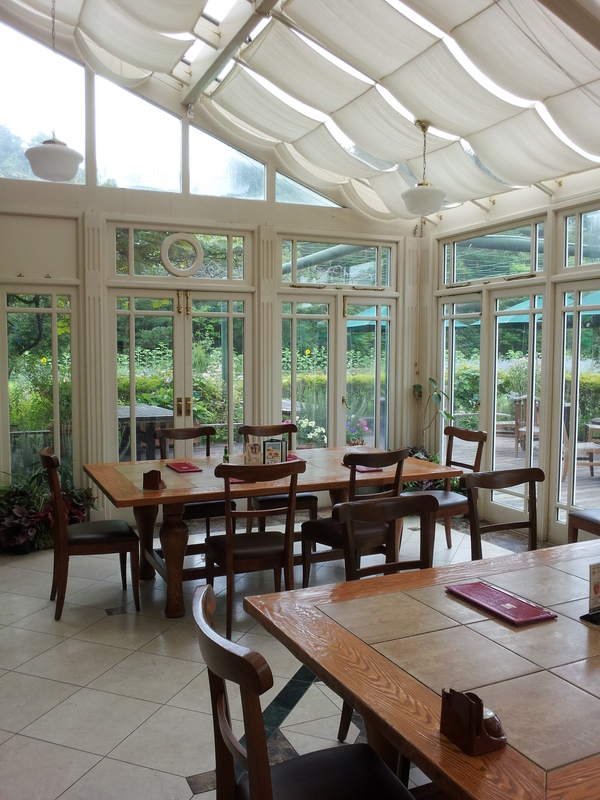 Canady Restaurant, near Mt. 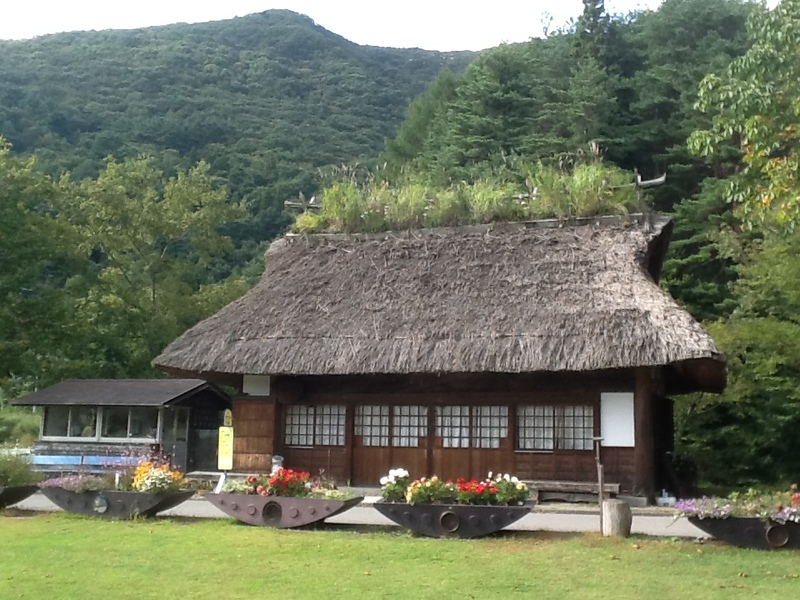 Fuji, a thatched roof settlement and Saiko Bat Cave, has a great area for kids and dogs. It has a very simple menu with pictures. They had about five choices: curry rice, beef with onions, udon with vegetables, and a couple other things. 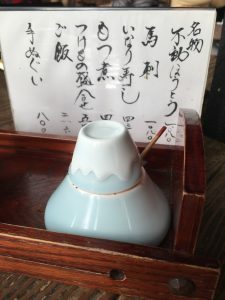 Lunch sets were around ¥1500, and single dishes were ¥600 – ¥800. Food was good, but the best parts were outside the restaurant. 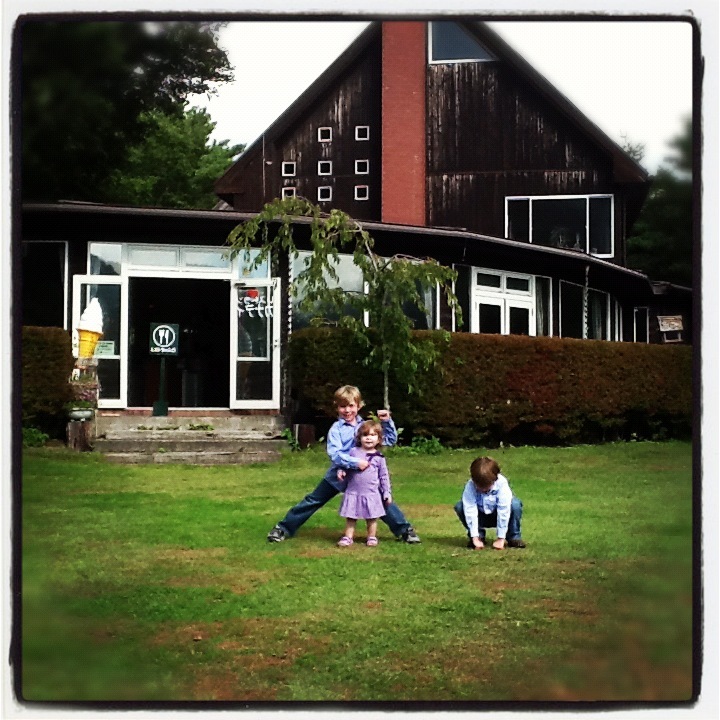 There was a sprawling grassy lawn where kids and dogs were welcome to play. 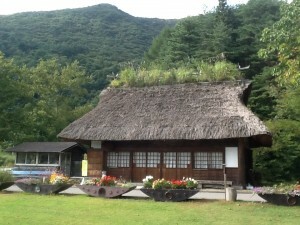 Thatched-roof buildings with flower boxes and mountain ranges in the background make it a great spot for pictures. In front of the restaurant there was an area with bird feeders where you could see colorful native birds. For about ¥100 you can purchase bird seed and entice them to eat from your hand. GPS 35.49865, 138.65353. -Shelley, October 2012. Directions from Saiko Bat Cave to Canady Restaurant. Turn left out of the parking lot at Saiko Bat Cave Information Center. At 1.4 kilometers turn left onto 21. Drive 1 kilometer and the restaurant is just off the road on the left. Comments Sarah Straus, Jan 2014: We went in January and found these strange ice sculptures in the large yard area in front of Canady Restaurant. We went on a Saturday and enjoyed playing in the snow and a little festival with food vendors and drummers. 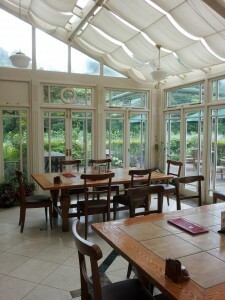 The curry and noodles at Canady Restaurant were delicious.